The All-New Jeep® Grand Cherokee Trackhawk is the quickest SUV ever with a blinding 3.7 sec 0-100km/h time . But that’s not all we have in our garage. 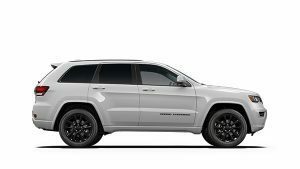 The Jeep Grand Cherokee SRT® offers stunning performance with ultra-premium luxury. 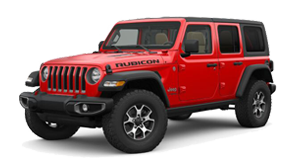 You’re sure to have heart-pounding adventures with either of these track and street-proven Jeep Brand 4x4s. An available state-of-the-art sound system by Harman / Kardon® features Logic 7® multichannel surround-sound processing and 19 high-performance, high-efficiency GreenEdge® speakers. Fuel Saving Technology - The 3.6L Pentastar® V6 engine's fuel saving technology cuts fuel flow and turns off the engine when the vehicle brakes to a stop. Release the brake pedal and the engine restarts and transmission engages.